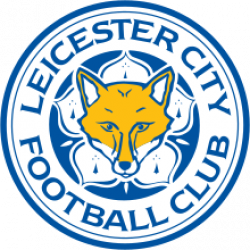 Sovereign Signs undertook the design (brief given by ‘The Design Solution Ltd’) manufacture, production and installation of the interior and exterior signs at the Leicester City Football Club - Foxes Fanstore. Within this project there was a large amount of signage manufactured and installed within a short time frame and to client deadline. The External Steel Gantry that was created from rolled steel with counterbalanced semi-circle framework, along with built-up illuminated stainless steel lettering and logo are the two main features that we consider to be outstanding features of the external of the building. The ceiling mounted circular econoflex box is one of the main outstanding features within the Fanstore itself. This has to be one of our favourite projects to date and we are proud to announce that it has been nominated for two BSGA Awards. The two categories that this project is nominated for are; Retail Sign of the Year and Leisure Signage Project of the Year. Subscribe to our newsletter and we will be sure to keep you up-to-date with the progress of Sovereign Signs and the awards.